Television coverage of the next two Winter- and Summer Olympics has become too expensive even for Norway’s two nationally licensed broadcasters NRK and TV2. After losing out in the bidding for Olympic broadcasting rights from 2018 to 2024, both commentators and the broadcasters themselves wondered whether they’ll ever be able to air Olympic events again. NRK is Norway’s state public broadcasting agency funded by the mandatory license tax imposed on all owners of televisions in the country. It had even tried to team up with TV2, Norway’s national commercial broadcaster, through a joint bid for the right to air Olympic events in Norway. NRK and TV2 otherwise are arch rivals in the Norwegian TV market. By the time the bidding deadline expired on June 15, officials at both NRK and TV2 say they realized they wouldn’t prevail against the money put up by Discovery Communications, which won the exclusive rights to air the Winter Olympics in 2018 and 2022 and the Summer Olympics in 2020 and 2024. Discovery in turn owns commercial station TV Norge and Eurosport in Norway, which will now air the Olympics on the two commercial- and pay channels. “There was a considerable difference between our bid and where it ended up,” Rune Haug, sports chief at NRK, told newspaper Dagsavisen. NRK and TV2 couldn’t match the financial muscle of Discovery, which could offer the most money to the International Olympic Committee (IOC) for broadcast rights in 50 countries. The IOC announced it had sold international TV rights for EUR 1.3 billion. The Discovery deal marks the end of an era in Norway, since it will usher in the first time that neither state broadcaster (the only ones generally available without a cable TV subscription) will air Olympic events. NRK had carried every Olympics since the dawn of TV in Norway until last year, when TV2 won the rights to air the Winter Games in Sochi and the Summer Games in Rio de Janeiro next year. Those games, known as “Rio-OL” in Norway, now may be the last ever on Norwegian public television. While NRK with its long history of providing almost non-stop Olympic coverage with no commercial interruption licked its wounds, Discovery’s chief sent out a message calling its winning bid “historic,” and contending that Discovery’s “long-term agreement with the IOC confirms Eurosports position as Europe’s leading sports broadcaster.” Aftenposten reported that the agreement applies to a total of 50 countries in Europe, including Norway. Neither NRK nor TV2 were giving up on making future bids, most likely in the form of another joint effort, but their chances are seen as slim. “There’s nothing to indicate that NRK (alone) can manage to make a comeback in the OL arena,” Hauger said. 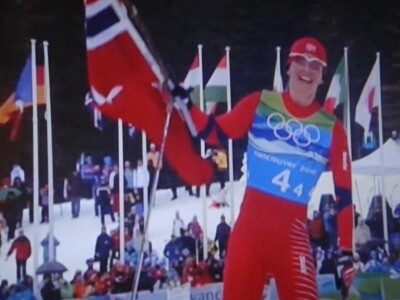 TV Norge was jubilant, meanwhile, and likely to gain significant numbers of viewers it otherwise wouldn’t attract. Norwegian sports fans won’t have to pay to see everything, though. TV Norge had to commit to airing at least 200 hours of coverage of the Summer Olympics at no charge and 100 hours of the Winter Olympics. The rest will be spread over Discovery’s pay channels. Newspaper Dagens Næringsliv (DN) noted that’s only a seventh, though, of the 700 hours of free coverage aired by TV2 from Sochi last year.